ASPIRATIONS: I aspire to be strong enough to follow GOD’s plan for my life… whatever that may be. I want to be a Style Icon for my generation; we need to bring back Queens because we have enough Badd B**8#es. HOBBIES: I have a passion for styling so in my spare time I enjoy making Mood & Style boards. I also enjoy modeling, shopping for trends, volunteering and creating new concepts. Oh and of course burning my fingers gluing and cutting old stuff, LOL. STYLE INSPIRATION: Mira Durma, NiNi Nguyen and Music. If I wake up listening to Lil’ Boosie I’ll most likely leave out the house Tom Boy Chic. If I start my day with Beyoncé I’ll give the people Glam Goddess for the day, LOL. FAVORITE ACCESSORY: Gaudy Necklaces. I only purchase statement pieces, that spruce up simple looks. Fall only because “The September Issue” told me so, LOL. Fall is the challenge season. You get a chance to play with layers; pairing leather with hints of fur; skirts and shorts with tights and boots. I live for the chilly nights; long sleeves, boots, leather jackets, and bold lipstick… YES! That’s a no brainer: RIHANNA! Her style is unconventional and daring; you never know what you will find in her closet. Currently digging Jeremy Scott’s work with Moschino, If you follow the brand you’ll know why. I am currently finding my way while expressing myself through my passion for styling, fashion and creativity. My faith in God will lead me to my destiny; I am building a brand that will launch spring 2015. Whatever I plan to do with my life God will be first; with him all things are possible. I will be the example to the next generation that you do not have to have it all figured out. You can be whatever you put time into being. You don’t have to be a product of your upbringing, you can beat the odds. I know I have a gift, once I nurture and invest in it my name will speak VOLUMES. I will then use it to give back and help save a life, because someone saved mine. ASPIRATIONS: I aspire to become a fashion icon and creative director that can help influence and make change in the world. HOBBIES: Poetry, Art, Dance, Technical theater, Soccer and Creating. STYLE INSPIRATION: Travis Tetteh and Spencer Lee. 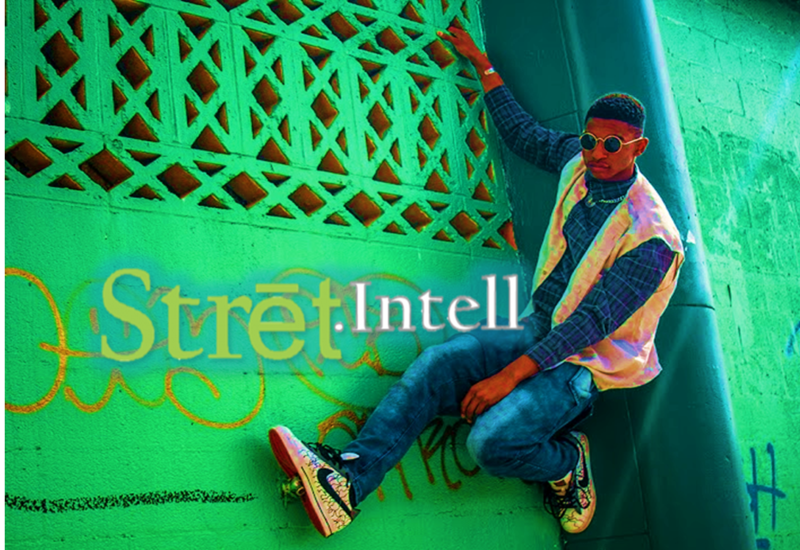 WHAT’S YOUR STREET INTELL: I enjoy the arts, fashion, black culture , poetry and meeting conscious people along side that I have created a local clothing brand to further express myself and make others fresher. DESCRIBE YOUR STYLE: My Style is a clash between classy and urban with inspiration from all eras in time. My style involves a little bit of my personality therefore time periods are irrelevant when it comes to me looking good. HOW WAS YOUR EXPERIENCE AS OUR FIRST CONTEST WINNER AND FASHION KILLER? I have thoroughly enjoyed being the DMV Fashion Killer. I have incorporated much of my experience into my applications for fashion programs that I have been applying for. Also working with Les Joueurs was a very exciting and fun experience. Their professionalism made the photo shoot go very smoothly. Working with Street Intell has also been a pleasure with all the good vibes that you send. 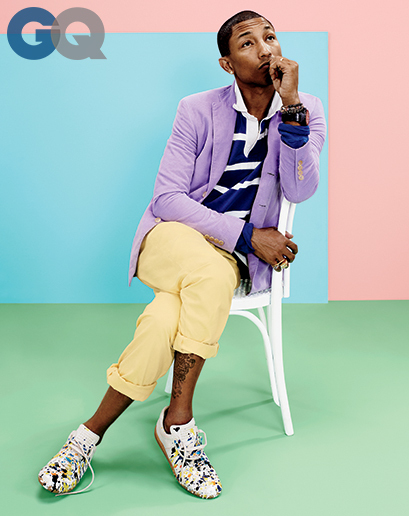 Pharrell Covers the April Issue of GQ Magazine and Aren’t We Happy!?! Salute to AQ for a great interview. 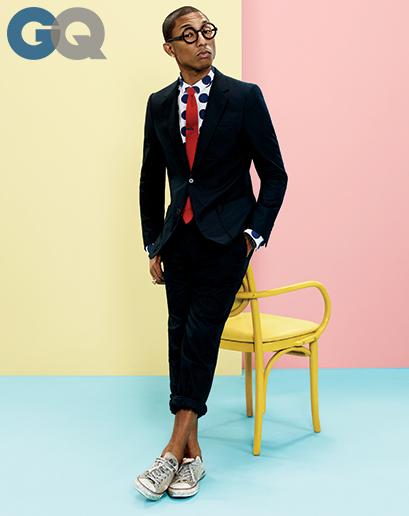 Read more about Victor’s style and inspiration here. The talented and incredibly stylish Solange Knowles owned 2013, several weeks after releasing her album “Saint Heron” on Saint Records, she was greatly announced as the new Art Director & Creative Consultant for the shoe and apparel company PUMA. Starting 2014 with a BANG with no hesitations, Knowles will be presenting her collection, “GIRLS ON BLAZE” each sneaker designed separately by such exquisite styled designers including Saada Ahmed and Jill Martinielli Wimberly of ‘Lady Grey’ to showcase four of her fashionable sneakers. A total of four designers of her choice who incorporated their own style with Brazilian culture. Reported via her personal blog, Solo notes that”After years of art directing my own projects and visuals, including music videos, photo shoots, album artwork and web content among many others, I am extremely excited to announce that I am now able to apply my passion for all things design into my new roll as an Art Director for the iconic PUMA!!! It is in my new role that I am able to express my love for not only design but the conception of creative ideas, and the execution of them by curating amazingly talented teams. I’ve had so much fun producing special content, ad campaigns, events, and working alongside the awesome Puma team with some of my favorite emerging artists, photographers, graphic designers to create activations that really celebrates both mine and PUMA’s approach and philosphies. On Saturday, October 26th members of the Street Intell street team attended Santasha’s 2nd Annual Natural Hair and Body Expo at the Dumfries Youth Center in Dumfries, Virginia. Partnered with the Military Natural Hair group Santasha put together a fun filled and educational affair featuring live hair care demonstrations by author and Natural Hair guru Karen Wilson. The military Natural Hair group is a group dedicated to supporting U.S. Armed Forces past and present who care about, have or are transitioning to wearing natural hair. They offer a place to share stories, encouragement, experiences, hair styles, regimens, products, and more. Their goal is to support natural hair journeys and still serve their country honorably. Upon arrival to the venue guest’s were greeted by Santasha’s team. Each guest received a swag bag full of goodies. If they participated in the Satasha Quarles program and brought in slightly used or new hair care products [for military personnel overseas] each person received a free Street Intell ‘Good Hair’ tote. During the event guest were serenaded by a live band that provided a nice musical backdrop to the event. Some guest partook in skin care regimens and live demonstrations by Constance Glow. There were an array of vendors at the event including our dear friends Todd and Vicki from Todd Parson’s earrings. It was great seeing them once more and we’re happy and excited to hear about their newly formed union. We also interviewed a few vendors onsite to find out a bit about their experiences as business owners. A lot of the vendors were independent distributors of many specialty products. For instances, we spoke to a representative from Seacrets, a brand that specializes in natural body scrubs, sea salt mineral peels, and skin care cleansers. We met and spoke with actor and Martial arts instructor Cliff Cunningham who explained the concept behind the self defense commercial and brand Deadly dymes. Deadly dymes produces a series of videos showcasing fight choreography that demonstrates proper safety tactics for women in self defense. Most of the tactics displayed were based on Judo, Tai Chi, Mui Tai (Kick boxing) and other martial arts. Along with promotion of Safety tips Cliff was selling safety kits equipped with pepper spray and 15 million voltage stunt gun. The 2nd annual Hair and Body expo was a great event and it was nice that Santasha decided to bring that kind of event to the Woodbridge, Manassas and Dumfries naturals. Often times many of them have to venture into DC which sometimes isn’t that convenient. Looking forward to next years event and we want to thank Santasha Quarles and the military naturals group for allowing us to take part in the event. [Street Intell Rewind] Interview w/ @TarenGuy at #LLYHtourDC !!! It was such a pleasure meeting and speaking with Taren. She has such a great personality and warm spirit. The DC event was packed to the brim with Naturalistas eager and willing to learn how to better maintain and love their hair. The Motions hair staff was a pleasure to work with and provided great support. Back stage in the green room we chatted it up with Taren and waited as the motions hair models and featured blogger panelists got ready. The hair models all looked stunning and their tresses were maintained and transformed by NYC stylist Jennifer Rose. For those of you that aren’t familiar, Taren Guy is a vlogger based out of New York city, she is one of the leading natural hair [YouTube] vloggers on the internet right now. Since 2009, Taren has been sharing her hair journey and informing women through product reviews, styling tips and personal inspiration. She provides valuable knowledge to her audience that allows everyone to see [through her experience] that it is possible to love and learn your hair. Her love and appreciation for natural beauty has captivated an audience of over one hundred thousand subscribers. She continues to make strides as she tours around the US and abroad. We wish her continued success and look forward to more things to come! Enjoyed this Interview? Tell us more below. Let’s Stay Connected! 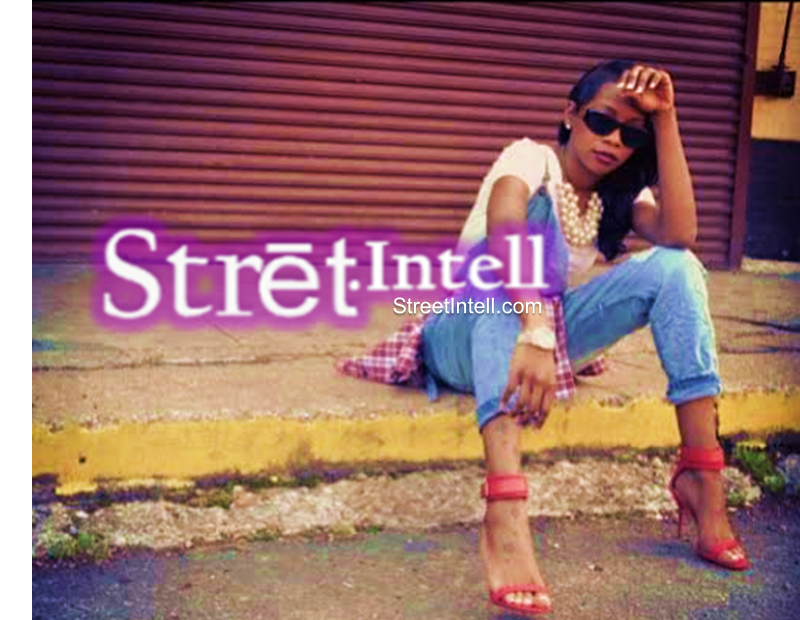 Do you know someone that should be featured on STREET INTELL? Tell us who that is!